Art can make a difference, and so can YOU! Do you believe this? Sometimes creative people underestimate the power and value they have as artists. It’s easy to lack confidence when you don’t really define yourself as “great”. That’s most of us. I certainly don’t walk around thinking about how great I am, and I doubt you do either. Even so, I’ve learned something important recently, and I want to share it with you. Being creative can be a powerful and surprising force for good in the world! Yes! Surprise! YOU and YOUR ART might be able to do something powerful! Your art obviously impacts you, but it can also benefit other people. Don’t dismiss this idea too quickly. What you create doesn’t have to be great or even serious in order to have an impact. Our home base for the mission trip. A page from my journal. 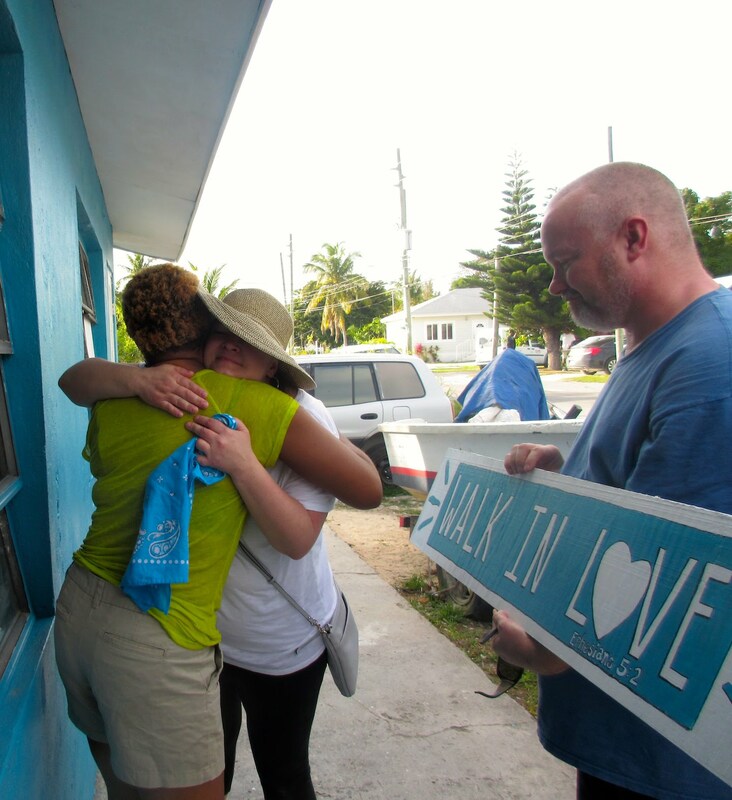 I recently went on a mission trip to the Bahamas sponsored by the Bahamas Youth Network (BYN) and First Presbyterian Church of Myrtle Beach. It was my first such trip. 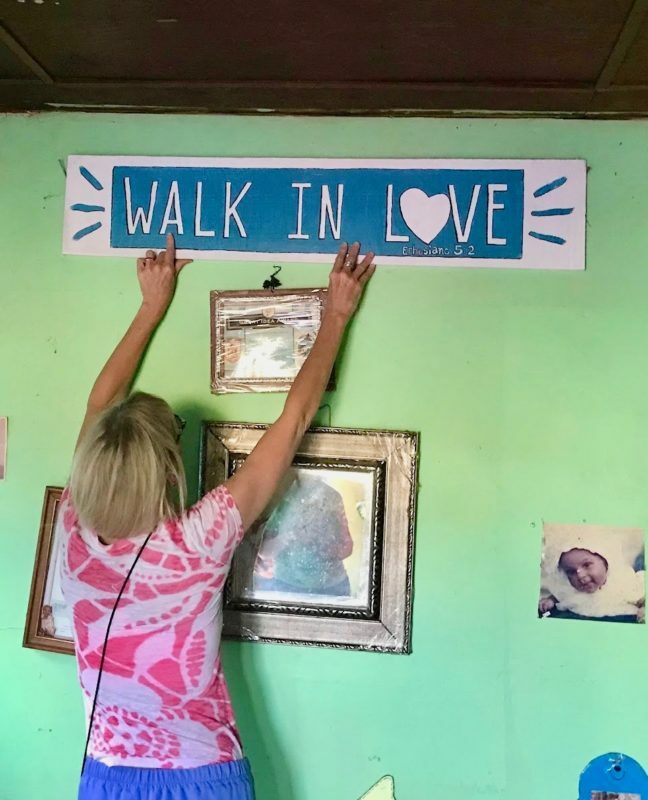 The Swing Mission (run by Gabe and Jan Swing) is part of the BYN effort to serve the needy and provide programs for young people in the Bahamas. I felt capable of taking part in the mission team and doing what I was asked to do. What was needed in the moment was very straightforward. But the needs obviously went beyond what we were capable of addressing as a group during our 7-day visit. Why am I so abundantly blessed when these people are so desperately poor? What am I supposed to be doing to make a difference? The problems are so big…what is my role in creating change? These questions tugged at my heart while there, and still nag at me even now. A page of reflection from my art journal. 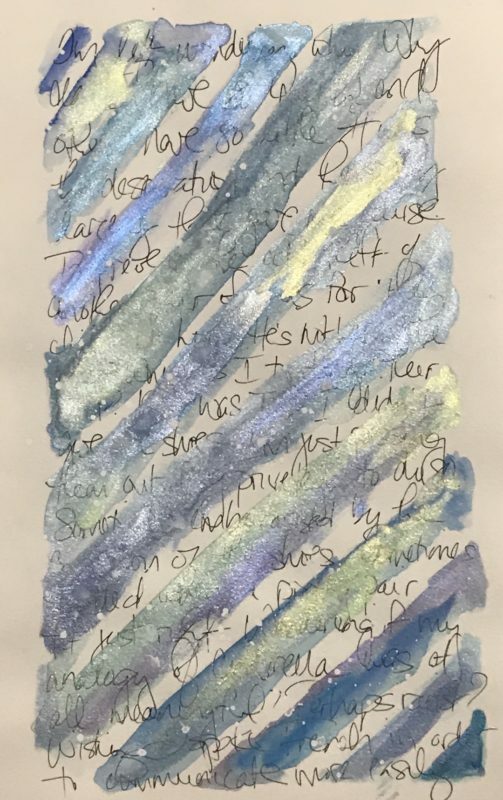 I like to use iridescent paints in my sketchbooks. They’re just plain fun and that’s a big reason I paint. Keeping it fun is important, but keeping it real is just as important. Sometimes what needs to come out doesn’t necessarily need to be shared, so I use the opaque nature of the paints to obscure the words and keep things more private. My Art journal became a lifeline. Art journaling is something I like to do, especially when I travel. It helps me tune in to what I’m experiencing and record what moves me. I use my journals to paint, often incorporating writing… what’s on my mind and what stirs my heart. On the mission trip I used my journal to meditate on the many questions and feelings that came up for me. I painted the places we went and wrote about how events made me feel. It was therapeutic and gave me an outlet. Every once in a while, I shared what I had done, but my entries were not really meant for display. They were for me. From my heart and for my heart, which often felt like it was breaking. All the while, I felt as if I was in the right place. I kept being reminded that anything we do with Love can make a difference. I hoped that my skills could make a difference, but I didn’t possibly see how. I’m certainly no carpenter. What my role was supposed to be wasn’t very clear. As it turned out, I did have a role to play, and it began in my art journal. Little did I know that my journal entries would have meaning for others..
A couple on our trip recently lost their daughter to cancer. Her brilliant light was snuffed out all too early as a young adult. During a quiet moment on our trip, a few of us shared our individual spiritual struggles. It was a precious exchange. And you know what? EVERYBODY HAD SOMETHING. 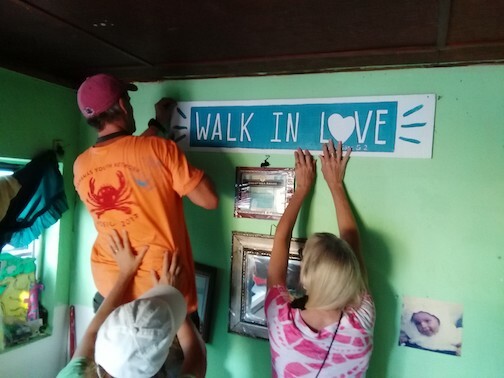 This couple decided to take their loss, and use the mission trip as a means of celebrating their daughter’s life on her birthday (one she coincidentally shared with her mom). Their daughter’s last Facebook post is the photo above. 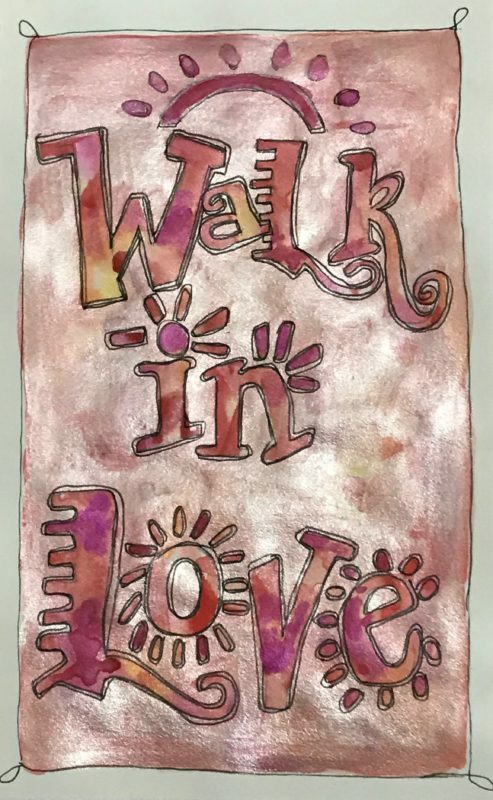 The phrase,” Walk in Love” was her final message to all of us. Her parents had that phrase tattooed on their bodies in remembrance of her. They were on the mission trip trying to live that phrase. It was inspiring. They were (and are) beautiful!! I came away from that experience feeling very moved by their story and everyone’s stories. I did this journal entry that night (below). A simple entry in my art journal blew up into a transformative expression of love and community. It was a real-life example of the powerful role that art can play in making a difference for people. Over the course of the week, I shared the journal entry with her parents and they were especially touched. I think we all want to feel as if our stories have meaning for someone other than ourselves. Similarly, as artists, we all hope that what we create will have meaning for someone else. As an artist, that moment of exchange is THE BEST! It never gets old when someone else connects with what you’ve created!! Making that sign was a bit of a challenge. I didn’t have my acrylic painting supplies with me. I had a white board and only one color of acrylic paint- Blue. I didn’t have a ruler or any measuring device. I didn’t even have brushes! I borrowed the brushes and set out to create the sign with the pencil, pens, and eraser I had along with me. I used my sketchbook paper as a ruler and unit of measure. I got ‘er done with a little practical engineering (translation: “the kind that doesn’t involve much math”). The sign below is what I came up with. When we presented the sign, my friends told their story to the homeowner as they handed it to her. They got to share just what the words on our sign meant to them. Everyone exchanged some powerful hugs (and a few tears). To our surprise, the homeowner asked that the sign be mounted just inside her door, “where everyone could see it as they walked in”. So my friends, THIS is an experience I’d like to share with every artist I know! I’d like everyone to have their small creative effort eventually make a big difference for someone. And that’s how it works! There can be value in just playing around. You just never know what is going to come from even the small things you do! In this case, my simple Art Journal entry touched the heart of a lot of people. THAT kind of beautiful exchange is so motivating and fulfilling! After coming home, I felt changed. I felt, and still feel as if I need to respond to the challenges raised by my trip to the Bahamas. Upon reflection, I decided that opening of my new studio presented the perfect opportunity to create a similar kind of experience for my students. I want them to experience the joy and the reward of sending your art into the world in order to connect with other people and hopefully make a difference for someone who really needs a hand. 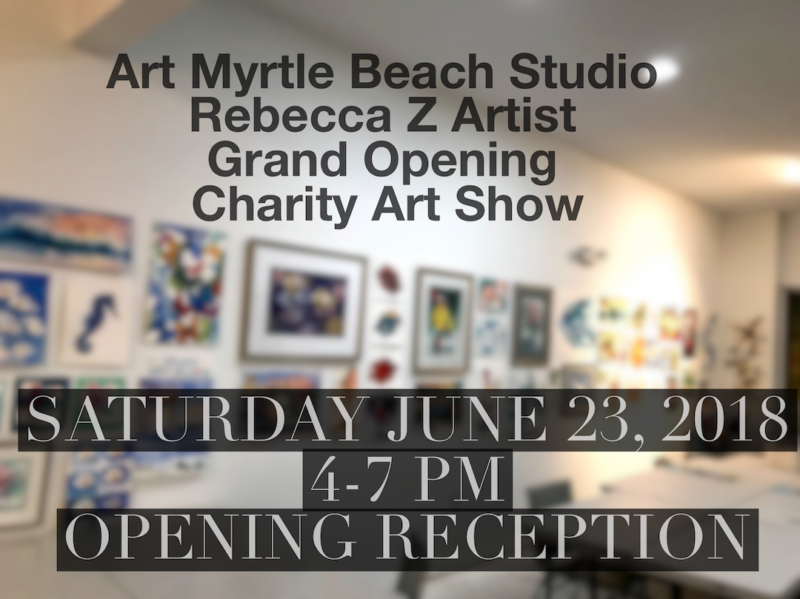 This is an official announcement of the Grand Opening Charity Art Show for my new studio! 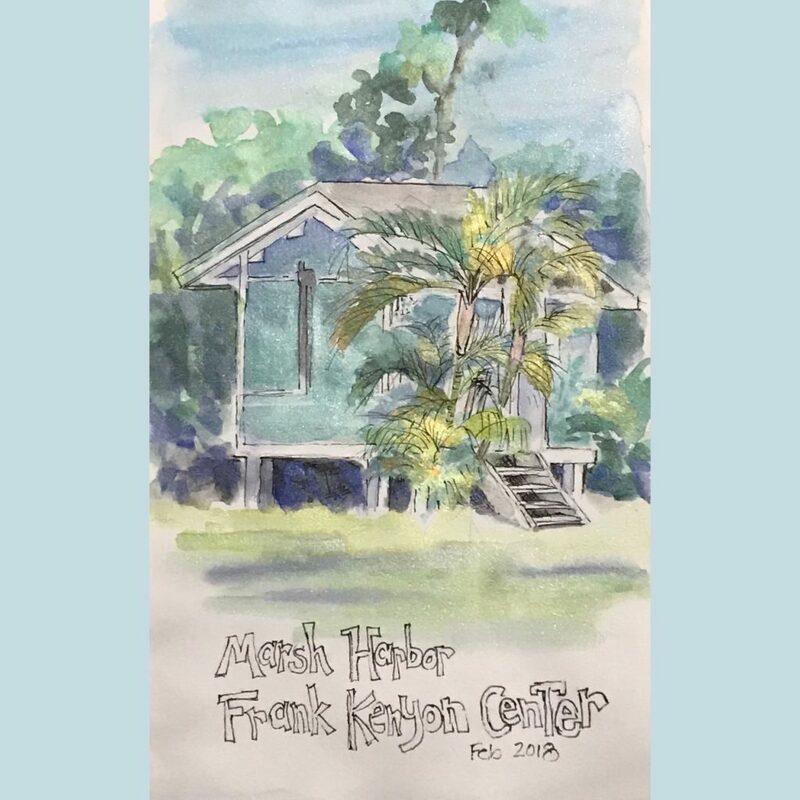 The goal is to create an event that inaugurates and celebrates my new studio while helping my students share their art AND make a difference for the less fortunate. It’s my hope that every person who takes part in this event will be left feeling as if they were a part of something uplifting and positive. I hope you’ll consider participating. When: June 23, 2018 4-7 PM and thru the 30th by appointment. Who Benefits? Follow the links to learn more about both organizations. Bahamas Youth Network/Swing Missions: This amazing organization uses only 2% of what you contribute for administration. Volunteers provide the majority of labor. BYN partners with First Presbyterian Church of Myrtle Beach. 98% of your contributions are spent on those who really need it. NOTE: Buyers will be able to direct your contributions to either of these charities during the event. Remember: Art Can Make a Difference, and SO CAN YOU! You are an inspiration to me. Your loving nature, your beautiful artwork, your finely developed teaching skills and your generous spirit help fill my soul. I’m in for the charity event.